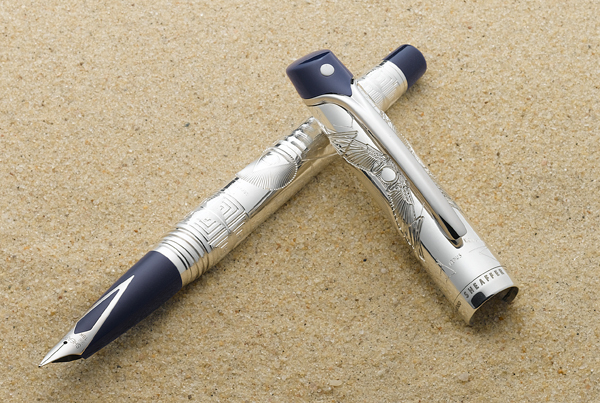 Sheaffer® is proud to introduce the Sheaffer® Stars of Egypt Limited Edition Collection, a unique collection of fine writing instruments commemorating the fascinating culture of the Ancient Egypt. The Sheaffer® Stars of Egypt Limited Edition collection is a true artistic masterpiece, expressly limited to 30 Solid Gold instruments, 360 Sterling Silver fountain pens and 139 Sterling Silver roller balls being offered worldwide. 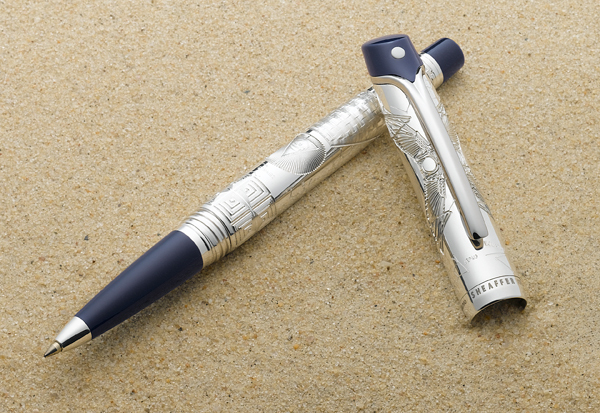 All instruments are intricately engraved in Italy and set off by highly polished accents and the exclusive Sheaffer® inlaid nib. All instruments are individually numbered and packaged in a beautiful wood gift box.